Spring Training begins soon, and when it does, 65 players will report to the Major League side of the Yankees’ camp. Twenty-five of those players are not members of the 40-man roster but are in camp as “Non-Roster Invitees.” Non-Roster Invitees, or NRIs, occupy an odd yet important role in the silly little world of baseball—these are the men that compete for attention and an outside shot at the 25th spot on the roster. Brady Lail is here to be considered as the first man called upon in the case of an emergency. Carlos Corporan wants to be the backup catcher until Gary Sanchez ascends to the show. Pete Kozma and Donovan Solano want the spot on the bench that was once held by Brendan Ryan. The main Baseball Prospectus site did a rundown of all 30 NRI situations around the league, including the Yankees. Of course, it would be quite an undertaking to talk about every single player that has received an invitation from any of the 30 franchises. BP Bronx covers one franchise, and we will talk about the 25 men that will be joining the 40-man roster in camp. Many of these players are here for a shot at returned relevancy. It’s probable that their names hold little to no value to the average baseball fan, and their careers will be naught more than a passing point of interest over the space of a month and a half while they appear in occasional reports out of Florida and in oddly-constructed lineups on daytime broadcasts. Though some of these names may ring a bell, they have all gone through trials and tribulations beyond number to reach the point of being invited to a big league camp. These are their names, pieces of their stories and what they’re looking for in camp. Richard Bleier – Taken by the Rangers in the sixth round of the 2008 draft, Bleier never cobbled together a run of sustained success until 2015. He’s managed to stay in baseball through age 28, and has been ricocheting between Triple-A and Double-A since 2013. The lefty put together 103 innings of 2.45-ERA ball at Double-A Harrisburg in the Nationals organization last season, and added 68.2 innings with a 2.75 ERA at Triple-A. FIP doesn’t hate the work he did in 2015 but Bleier has a staggeringly low career strikeout rate. He’ll be in the mix to provide innings to the Yankees’ Triple-A Scranton pitching staff. Tyler Cloyd – Cloyd is another 2008 draftee. The Phillies selected him in the 18th round, and he would eventually pick up steam in 2011. He made six starts in the majors in 2012, and added another 13 appearances in 2013. After spending 2014 with the Indians’ Triple-A affiliate, Cloyd signed with the Samsung Lions of the Korean Baseball Organization. He’s back stateside for the 2016 campaign, and is likely looking to serve as depth with either the Yankees or any other team that he can latch on with. Domingo German – Part of the trade that sent Nathan Eovaldi to the Yankees, German missed the entire 2015 season with Tommy John surgery. After going through the Slade Heathcott-style DFA-and-re-sign trick to get him off the 40-man, German will likely pitch in short stints in camp and then pitch his way through A-ball. He’s still got the stuff to be a useful starter somewhere down the road. Chad Green – Green was one of two pitchers acquired by the Yankees in the trade that sent Justin Wilson to the Tigers. He spent all of 2015 in Double-A, throwing 148.2 innings out of the Erie Sea Wolves’ rotation. Nothing about Green pops out, but he could be a future big league swingman or back-end starter. He’ll be competing for the right to start 2016 in Scranton. James Kaprielian – It’s surprising to see last year’s first rounder get invited to big-league camp, but it speaks to just how advanced a pitcher Kaprielian is. There’s little significant development left for Kaprielian, and he could make it as far as Double-A this year. It’ll be a treat to see him get a shot at pitching to big league hitters. Brady Lail – Lail pitched at three different levels of the Yankees’ farm in his breakout 2015. He made it all the way to Scranton after dazzling for most of the summer at Double-A. He doesn’t offer wipeout stuff and his fastball sits in the 89-92 range, and he relies instead on control and sequencing. Lail makes it work, and were it not for the fact that he lacks a 40-man spot, he could be one of the first men called upon to briefly plug a hole in the rotation in the middle of the summer if his second run at Triple-A goes well. Diego Moreno – Moreno made his major league debut last summer at the age of 28 before he hit the disabled list with elbow inflammation. He’ll serve the same role this year as one of the many relievers that will frequent the shuttle between Scranton and the Bronx. Vinnie Pestano – For two years, Pestano was one of the better relievers in the Cleveland bullpen. Then elbow tendinitis struck, and Pestano’s walk rate spiked and never truly recovered. For the last two years he’s been an up-and-down guy for the Angels, and now he’ll look to catch back on in the big leagues with the Yankees. If Pestano shows that he’s got his control back, he could be yet another weapon in the late-inning arsenal. If not, he’ll get work as the closer for Scranton. Anthony Swarzak – Like Pestano, Swarzak has seen significant time at the highest level. He spent the majority of his career with the Twins, working mostly out of the bullpen, and then threw just over 13 innings for Cleveland last year. Perhaps it was simply a matter of small samples, but Swarzak’s strikeout rate spiked with the Indians. It could be nothing, or the Yankees could have found something here. Tyler Webb – Webb is the classic Yankee relief prospect. He strikes a lot of batters out, and he’s done it at every level. His 2015 was derailed by a mid-summer injury but he recovered in time to get some tune-up innings in out at the Arizona Fall League. He’ll likely get a look in the Bronx at some point this year. Carlos Corporan – A professional backup catcher, Corporan has spent most of his big league career with the Astros. Hank Conger ousted him last year, so over to the Rangers he went. He’s going to compete with Austin Romine for the right to keep a seat warm for Gary Sanchez. Francisco Diaz, Kyle Higashioka, Santiago Nessey, Sebastian Valle, Eddy Rodriguez – These catchers are all in their mid 20’s, and have never surfaced in the big leagues. There’s barely a few Triple-A plate appearances between them. But someone has to catch all those pitchers throwing bullpen sessions at camp, and someone has to give them feedback. Then, someone has to serve as the backup catchers throughout the minor leagues and act as secondary pitching coaches to all the young arms. That is the task appointed to these men. Valle recently completed a stint as the catcher for the Mexican national team that won the Caribbean Series, and Rodriguez is about to start a second season in the Yankees system after nearly quitting baseball altogether. His story is a wonderful one. Jonathan Diaz – Besides a 2013 spent in Pawtucket and ever-so-briefly in Boston, Diaz has spent his ten-year career in the Blue Jays organization. He’s never hit, but his defense has always gotten him a roster spot somewhere in some capacity. If he’s not selected as the 25th man, he’ll either go to Scranton or test the open market. Pete Kozma – Kozma owns a career .222/.288/.293 line in 689 big league plate appearances with the Cardinals. He’s here to play shortstop, field the baseball, and directly compete with Ronald Torreyes and Donovan Solano for a spot on the bench. Nationals fans will forever rue him for knocking in the winning run that eliminated Washington from the 2012 playoffs. Jorge Mateo – The fastest man in the minor leagues dazzled in his first full season of baseball and contends with Aaron Judge for the title of the best prospect in the system. Of course, Mateo isn’t just a runner. He hits too, and may one day take Didi Gregorius’ job. Until then, he’ll be showing off his wheels and trying to break camp with Trenton. Deibinson Romero – Romero is a 29-year old minor-league journeyman. He spent the bulk of his career in the Minnesota system before briefly playing for the Pirates’ Triple-A affiliate, then spending time in the Mexican League. He’s been assigned to the Trenton Thunder, and will likely be part of the first round of cuts. 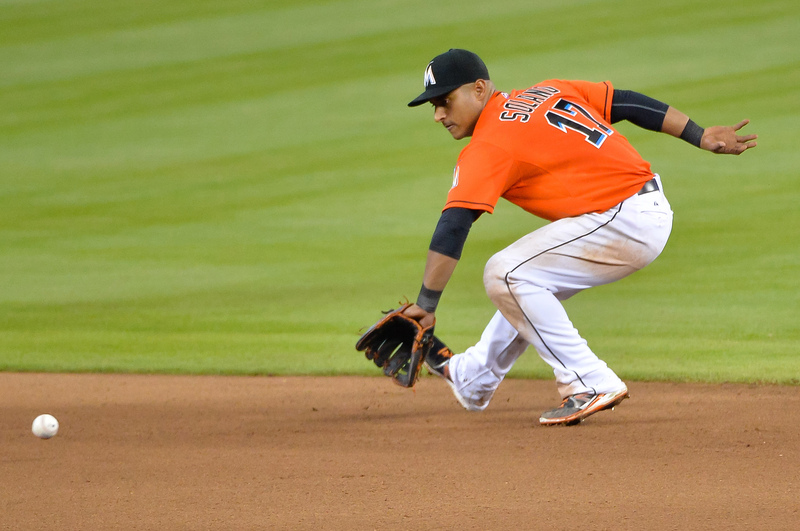 Donovan Solano – A utility infielder, Solano broke into the majors with the Marlins in 2012 and has seen sporadic playing time in Miami since then. There’s nothing overwhelmingly exciting about Solano’s game, but he’s the kind of player who likely keep popping up somewhere for the next six or seven years. If he doesn’t latch on with New York, someone will give him 100-200 plate appearances. Tyler Wade – Also known as “The other notable Yankees shortstop prospect in the upper minors,” Wade reached Double-A at just 20 years of age. His bat is still a work in progress, but Wade’s glove plays at both middle infield positions. A full season of Double-A development will do him quite well, and it’s exciting to see him called upon to join the big kids in camp. Lane Adams – Adams was taken in the 2009 draft by the Royals, and in Kansas City’s system he has toiled. The organization gave him three plate appearances in six games in 2014, and then in 2015 sequestered him in Double-A and Triple-A. Adams boasts both speed and power, but also a proclivity for strikeouts. A heightened sense of contact could turn Adams into a fun player, but at age 26, he’s been hearing that for a while now. Dustin Fowler – Fowler was one of the many Yankees prospects that enjoyed breakout campaigns in 2015. He’s at least decent at every facet of the game, and there are some he excels at. Fowler is a legitimate center fielder, can swing the bat well, and steals bags. He became a favorite of scouts who saw him last year, and likely already has his ticket punched for Double-A. Aaron Judge – The legend of Judge hasn’t quite reached Paul Bunyan levels, but he’s big enough to go toe-to-toe with both Bunyan and his blue ox. Yankees fans salivate at the idea of the mammoth Judge swinging his bat in tiny Yankee Stadium, and this may very well be the year it happens. However, Judge will first need to take another pass at Triple-A. 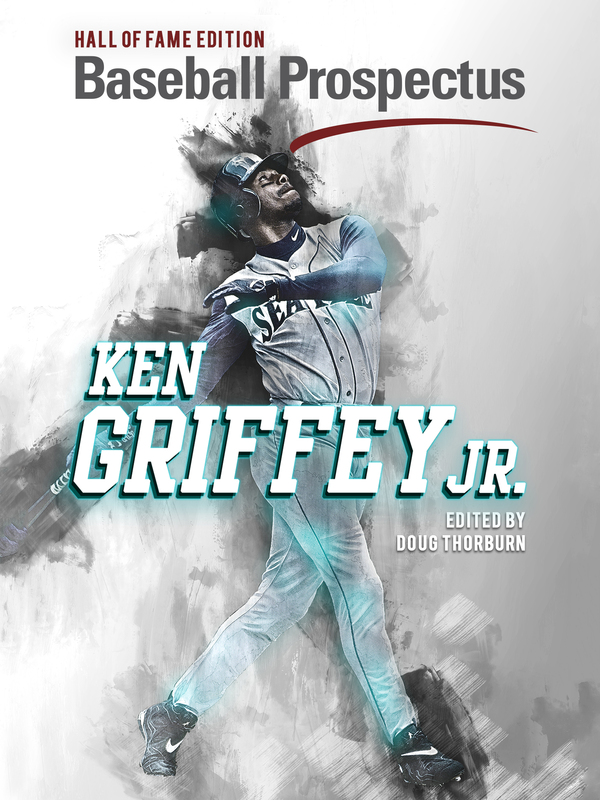 His hitting staggered upon his promotion, and he will need to prove himself worthy before he is called upon to bombard the left field seats with baseballs. Cesar Puello – A former top prospect with the Mets, things never fully came together for Puello. 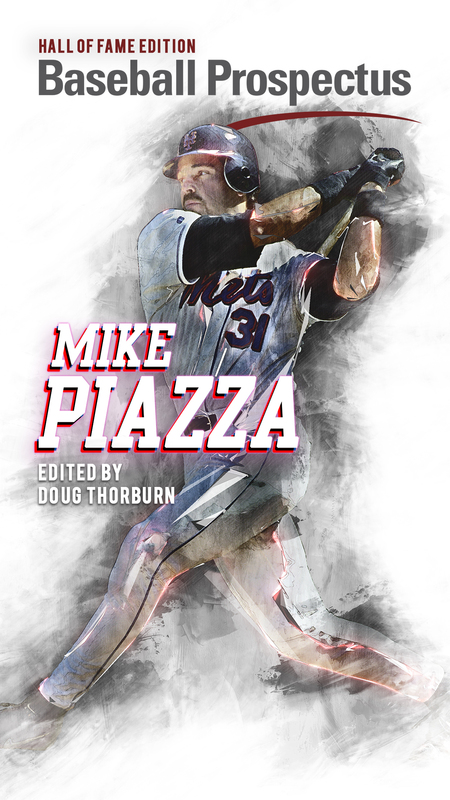 Triple-A tamed him, and a back injury was the finishing blow on his time in Sandy Alderson’s organization. There’s still a little bit of prospect sheen to be found here, and Spring Training is the time when former scouting darlings are given a shot to prove that they can still play. It’ll be a nice story if Puello hits again, but Scranton is already overflowing with outfielders (Judge, Heathcott, Ben Gamel, Mason Williams). Puello’s future is unclear. For now, however, he’ll be trying to put on a show. There aren’t going to be a whole lot of positional battles this spring, and for those positions that are up for grabs, there are already clear frontrunners. Spring will likely be but an exhibition for the talents of the prospects and a few grabs at more chances to succeed for the journeymen. In short, it will be like every spring. However, these 25 men may be the strongest corps of invitees that the Yankees have brought to camp in quite some time. The battles will be over before we know it, and the prospects will be sent back down to marinate. Then baseball will truly be upon us. We are so close now. We can taste the hot dogs and smell the grass on the wind. We can hear the crowds and the umpires and the oh-so unique home run calls on the radio. We only need wait but a while longer, and we will get to see these 25 men play the game they love.